On Tuesday, 3D Robotics announced that we’ve partnered with Intel in the development of Edison, a new microcomputer that basically gives you PC power in postage stamp size, at an almost universally accessible price. We’ve worked closely and for a long time with Intel on this project because the combination of Edison’s incredible power and affordability will lead to truly revolutionary advancements for our company, and for the Internet of Things in general. The Edison board has the kind of processing that at one time you could only find in a personal computer. This means that when we integrate Edison into our next-generation autopilot, we’ll be able to make incredible leaps forward in on-board image processing, sense and avoid, new classes of sensors, and artificial intelligence, with many more eggs yet to be discovered and cracked open. The technology is now here. The challenge now is to start doing important and interesting things with it. For instance, for the big announcement on Tuesday we ran a demo of IRIS+ using an “optical” version of our 3PV™ Follow Me technology, with Edison as a companion computer to our Pixhawk autopilot. That sounds way too technical. But what that really means is that with the extra computing power from Edison, 3PV™ can now track people and objects with vision instead of relying on a GPS signal, so you won’t need to carry another device on you anymore — you can just go and the drone will visually recognize where you are and keep the camera on you. 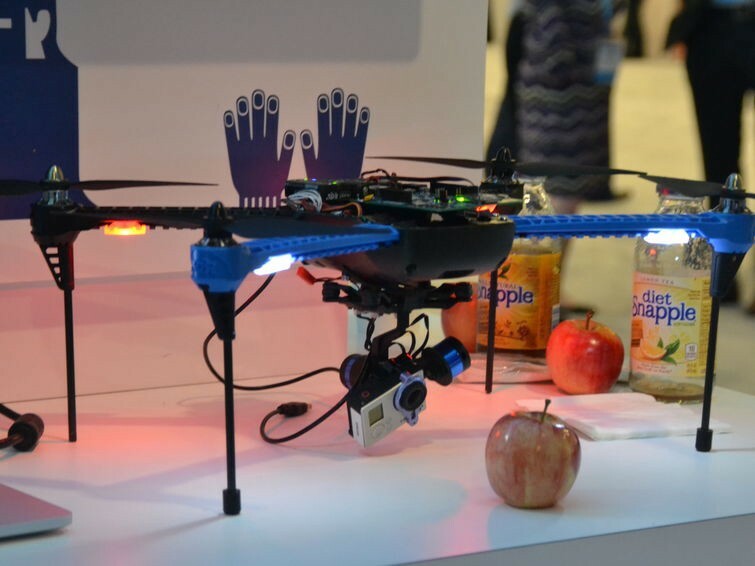 3DR CEO Chris Anderson called the partnership, “A rich collaboration between Intel’s engineers and ours to integrate the Edison into our platform and add image processing power.” For Chris, Edison unlocks what you might call “the long tail of drones.” In other words, drones won’t come in a handful of sizes and models with a handful of universal capabilities, as they do today. Instead, drones will be customized and adapted, changed and invented and reinvented to meet an untold number of needs and solve an untold number of problems, most of which we aren’t even aware of today. That’s the long tail. With additional computing power from Edison, 3DR will build drones that can do more things for more people in more industries, and eventually drones that can be infinitely tailored to meet the many unique needs of the real world that are out there now, waiting for their applications to come along.